Elaine Hancock (Olney, United States) on 24 March 2018 in Plant & Nature. Un graphisme offert par tes "traits" des branches sombres. Bien vu. Oh Elaine, this picture is very beautiful , I Like a lot, really ! @Graciel·la (Vic. Catalonia): Thank you Graciel·la. I just looked up and saw this tree and I had to get a picture! Your compostion creates a very interesting rondomness that is graphic and very effective. 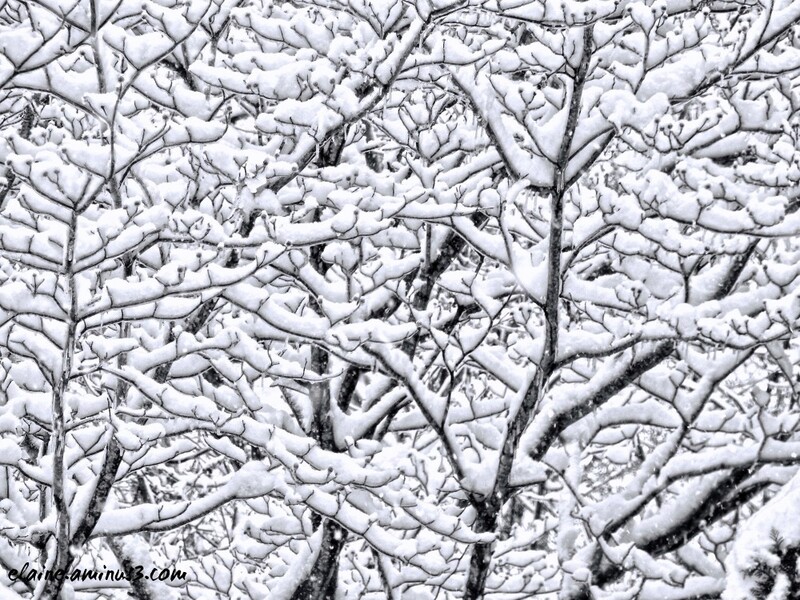 Love the snow covered tangle of branches. Looks so familiar to my views. A beautiful graphic image. The snow and branching patterns have worked magic here. @Adela Fonts: Thank you so much Adela! That means so much to me! Beautiful texture! Gorgeous pattern created by nature and you photographed it very nicely. Fantastic patterns ! Beautifully abstracted.